TORONTO, April 11, 2018 /CNW/ - Roots ("Roots," "Roots Canada" or the "Company") (TSX: ROOT), wins Gold at the 2018 Shop! Awards, an accolade regarded as one of the highest achievements in retail design and brand marketing. The awards single out leaders in the global retail landscape, highlighting the best in forward-thinking innovative retail design environments and experiences. Roots won Gold in the category: Softline Specialty Store 3,001-7,500 sf, for its Yorkdale Shopping Centre enhanced experience store. "Our Roots 'Cabin' store is an embodiment of store design, marketing strategy and digital integration," says Alex Jones, Roots VP of Real Estate. "It has become increasingly important to provide a unique shopping experience, and Roots continues to stand out as a brand that connects on an emotional level with our customers. This award affirms our dedication toward innovative design and an unmatched in-store and experience." For 45 years, Roots has been bringing unique in-store experiences to its customers. 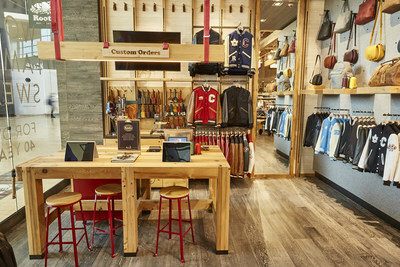 The Roots 'Cabin' store concept was designed to capture the distinct character and heritage of the Roots brand while drawing shoppers into a space where they can interact with product in a visually stimulating and socially connected environment to provide an enhanced experience. At the heart of the redesign is the locally sourced millwork from expert craftspeople from across Ontario. Reclaimed wood and Ontario cedar surround the countless artifacts from the Roots Canada archives: an original 'R' sign from an early flagship store, the machine that made the first negative heel shoe and an array of celebrity Award Jacket replicas. The 'Cabin' store model features a dedicated leather jacket and bag customization workshop, and an enhanced fitting room lounge experience. Elevated leather and footwear sections offer customers a full range of seasonal footwear, jackets and leather bags. An omni-channel shopping experience is provided in a comfortable 'endless aisle' area, where guests can review online product reviews and information, search inventory available at any store throughout Canada, place a ship to home order or pick-up and try on their ship to store roots.com orders. Roots proudly chose to partner with globally-renowned architecture and design firm CallisonRTKL to bring the 'Roots Cabin' concept to life. As a leader in retail construction design, CallisonRTKL's vision and execution proved hugely successful with the flagship Yorkdale Shopping Centre store. Roots has pushed its award-winning store concept forward, opening "Enhanced Experience" locations in Vancouver's Pacific Centre Mall, Taipei 101 in Taiwan and is rolling out two new stores this summer in Halifax Shopping Centre and Boston's Natick Mall. The 'Cabin' store will serve as benchmark inspiration for all Roots store designs. Established in 1973, Roots is an iconic lifestyle brand with a rich Canadian heritage and portfolio of premium apparel, leather goods, accessories and footwear. Roots delivers products to customers through its store network, online platform and international partnerships. As of October 28, 2017, Roots' integrated omni-channel footprint included 116 company retail stores in Canada, four company retail stores in the United States, 109 partner-operated stores in Taiwan, 29 partner-operated stores in China and a global e-commerce platform. 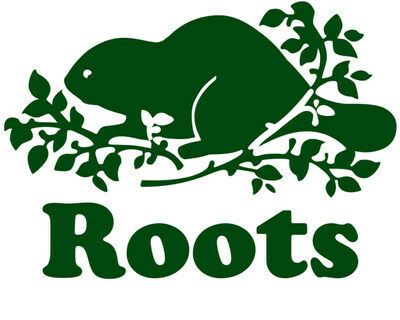 Roots Corporation is a Canadian corporation doing business as "Roots" and "Roots Canada".